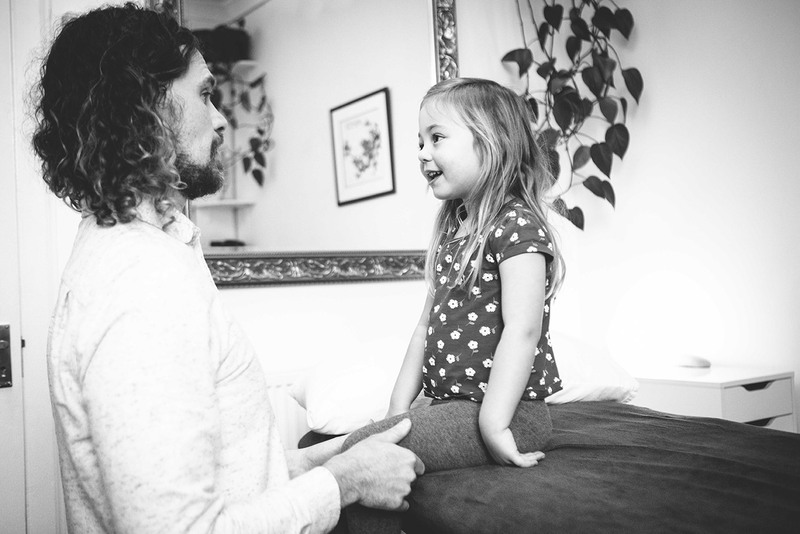 Children can respond very quickly to osteopathic treatments as the body’s drive for health and vitality is strong. Assisting with alignment early on can avoid a range of impacting ailments which have been cause by sometimes known, sometimes unknown impacts. The obvious one is the delivery particularly a long one but also quick can have problems as their soft heads are moulded through the pelvis by the uterine contractions. Most babies resolve the problems with feeding and crying but complications to the delivery, breech, posterior ( back to back), forceps and vontuse make it hard for the babies to recover. Osteopathic treatment can be effective for relieving the underlying causes for reflux, vomiting, and difficulty feeding or bringing up wind, colic and irritability in babies. Pressure on the forming skull can also lead to trouble sleeping, irritability, ear infections and plagiocephaly (misshapen skull). These restrictions can be overcome via cranial osteopathic treatment. Caesarean babies can still experience birthing trauma despite not passing through the birth canal. Due to the speed and nature of elective caesareans the infant has not experienced the compression/decompression stage of vaginal delivery. Also, as elective caesareans are often the result of difficulty during labour the strong uterine contractions that the infant experienced prior to the operation may impact adversely on the infants health. For children osteopathy may effectively treat glue ear, growing pains and scoliosis. There is also scope for assisting with symptoms of ADHD, autism and some learning difficulties due to rebalancing the body to relieve pressures and misalignments present within the form. Pressures and strains within the body can lead to irritability, hyperactivity, poor concentration or a variety of other symptoms due to abnormal tensions brought about from physical or emotional impacts. For children whose bodies are experiencing constant strain or pressure the chances of recurring ear infections, especially middle ear infections as well as coughs, tonsillitis and frequent colds. The immune system is dependent on the lymphatic system which can be treated osteopathically so as to relieve the underlying causes. Healthy blood flow to nerves is the foundation of the healing process, thus improving circulation is key to treating a variety of recurring ailments. Children go through periods of rapid growth which can put stress on joints and ligaments. Periodic treatments can help to ease the growing process leading to less misalignment and a better chance of avoiding problems with form. In addition, children often suffer impacts from sports or play, the impact of which can lead to issues in adulthood. The body ‘remembers’ each impact as the trauma is stored in our tissues. Such impacts, if left untreated, can manifest later in life as delayed strain patterns. That said, residual strain may not cause a direct ailment due to the body healing itself of the impact. However accumulated strains from various impacts may compress the system leading to dis-ease. If issues, traumas, impacts, illnesses accumulate then the system may be unable to correct itself without assistance. The body can lose its natural ability to autocorrect/auto heal if the equilibrium is off for extended periods of time. This is often what happens with sudden back pain, recurring headaches or waking up with pain and not remembering a cause. An experienced osteopath can feel those residual strains through extensive training of tissue palpitation. By feeling, assessing and manipulating the tissues the problem can be overcome or future problems can even be prevented via early intervention. Manipulation is not always necessary if the practitioner treats cranially as the body is gently brought back into alignment. Other ailments need treatment via manual manipulation. Osteopaths treat the whole person and not just the problem. Thank you for the difference you have made to our family by using cranial osteopathy on our son Hugh. We now have a happy, smiley, contented and would even say chubby baby! When we first came to see Adam we were almost at breaking point and you his confidence that he could help him was a huge relief. We can hardly believe that the beautiful little boy we have now is same unhappy, discontented and difficult baby to feed that we brought to you few months ago.It is impossible to thank you enough for treating him but thank you all the same. My husband and I took both our young children to see Adam as they were not into the whole sleep thing. After a few sessions I couldn’t believe the difference, and we’re very grateful to all be getting some well needed rest.